PARKLAND, Florida (WPVI) -- A Florida school massacre victim is being hailed a hero for using his own body as a human shield to protect 20 classmates from gunfire. 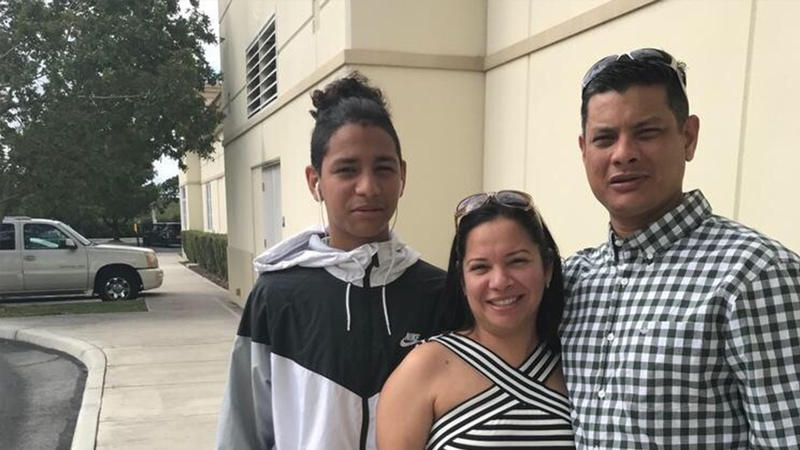 Anthony Borges was in class when a gunman opened fire at Marjory Stoneman Douglas High School Wednesday, killing 17, his father Royer Borges tells ABC News. Instead of hiding, Borges attempted to close and lock the classroom door, protecting 20 of his classmates. He was shot multiple times in both of his legs, and a bullet went through his back. Anthony is alive and stable but his father said he has a long road of recovery ahead. "I only ask that people pray for him," he said. Royer Borges' co-worker set up a GoFundMe page, which can be found here.